It’s common knowledge that smoking is harmful. We’ve known it since 1950, when three important epidemiological studies provided the first powerful links between smoking and lung cancer. We knew it in 1965, when the Surgeon General mandated that cigarettes required a warning label on the package. A move that was immediately followed by one of the most successful marketing campaigns in history. 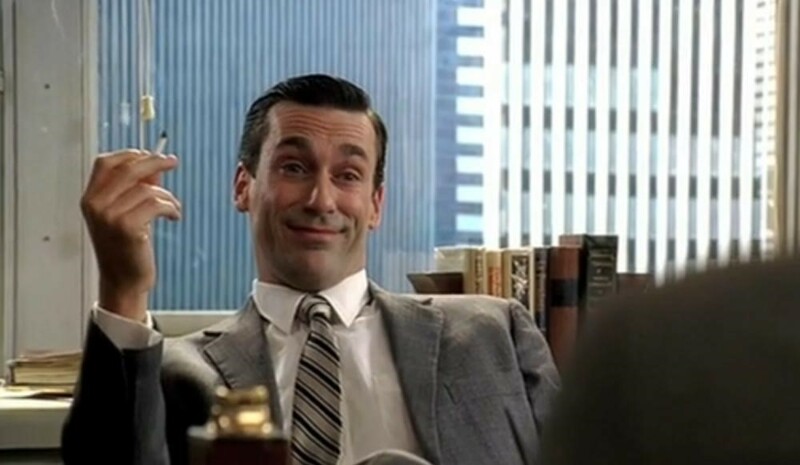 Image Credit: Don Draper, Mad Men. © AMC. All rights reserved. Did you know: cigarette companies spent $9.6 billion on advertising in 2012 alone. How do I know it was so successful? We are still teaching the harmful effects of cigarettes 50 years later. According to the CDC, as of 2013 18% of Americans are smokers. We are on a downward trend, thankfully. In 2009 21% of Americans were smokers and back in 1974 51% of men and 41% of women smoked. Smoking kills 480,000 people each year, and 20% of all deaths in the US are thought to have smoking as a contributing factor. Additionally, when factoring in the cost of healthcare and lost productivity, it is estimated that each pack of cigarettes costs our society $18.05. Smoking can affect more than your health- it can also affect your appearance. Immediate short term effects include bad smells, acne and stained teeth and fingers. Long term effects include stroke, blindness, gum disease, cancer, heart disease, emphysema, infertility and impotence, and poor muscle tone. 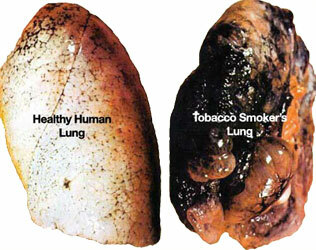 Respiratory diseases only contribute to about 25% of deaths from cigarettes. The tar and chemicals that you inhale don’t stay in the lungs. They travel around the body. The rate of heart disease, breast cancer and colon cancer is much higher among smokers. And let’s not forget the almost 1,000 people each year killed by cigarette-sparked house fires. So cigarettes are too dangerous, but electronic cigarettes are safe, right? Do they have the same chemicals as cigarettes…? Not really something you want to bring into your body if you don’t have to. Plus, they still have nicotine, which is addictive. Nicotine addiction is very hard to break. Every time you use vapes or cigarettes you put yourself at risk for addition. At least where cigarettes are concerned. Now that you’ve decided to quit, there are several options. Some people are able to wean themselves off smoking using nicotine gum. Nicotine gum, like Nicorette, can help alleviate the anxiety, nausea and headaches associated with nicotine withdrawal. “The biggest problem with the gum,” cautions Dr. Zahalsky, “is that it still contains nicotine, so you really aren’t solving the problem – your switching one addiction for another.” As a result, most people go back to smoking cigarettes. Medications, such as Chantix and Zyban, go straight to your brain and they help you stop smoking. They work by blocking the receptors in your brain that desire nicotine so that you should, theoretically, be able to stop smoking without any side effects. These medicines do have their own side effects, so they should be taken under the supervision of a doctor. About 70% of people are able to quit after complete a course of these medications. Stop drinking. Seriously. There’s no way around that one. If you smoke in the car, take the bus. You’ll notice the positive effects of quitting almost immediately after. You’ll smell better, food will taste better, and you will (literally and metaphorically) breathe easier. As part of our Personal Health Record (PHR), we include a health tracker. You can track your breathing test to monitor how well your lungs are working as your start and stop smoking, and track your blood pressure – which can dramatically improve when you quit. If you have a smoking related illness or need to talk to someone about better options to quit, our Online Second Medical Opinion could work for you. If your doctor participates, you can use our e-Consultation to chat with your doctor which can be helpful to get you through the difficult times to stop smoking.